Yesterday (2nd Feb. 2017), in London, a mountain Gorilla named Bakwate (which translates as “Attacker” or “Getter”.) stole all the London Trafalgar Square’s attention. Bakwate is the dominant alpha Silver back of the Oruzogo group. The name comes from his main strength: when he wants something done he’ll make sure it happens. Bakwate has other key individuals in this family that include Young Silverback Busungu (hot tampered),ADF Mutesi (relaxed and calm),ADF Kakobe due to her resemblance with a baboon with a long and protruded nose, ADF Kashundwe(has a mole on her nose),ADF Nyakiina due to a hole-like depression on her nose bridge and ADF Birungi because she is beautiful. 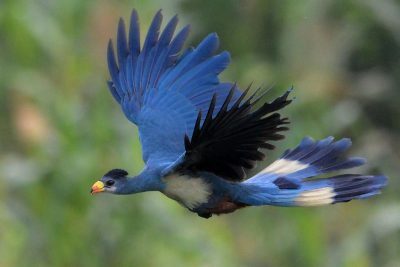 This move is to emphasis that Uganda is the best place on the planet to see these amazing creatures. This with no doubt is an opportunity for some lucky individuals to create their own ‘David Attenborough moment’ with some iconic British structures in the background. Bakwate (the gorilla) will also be entertaining the crowds at The Destinations Travel Show (at London Olympia from 2nd – 5th Feb). 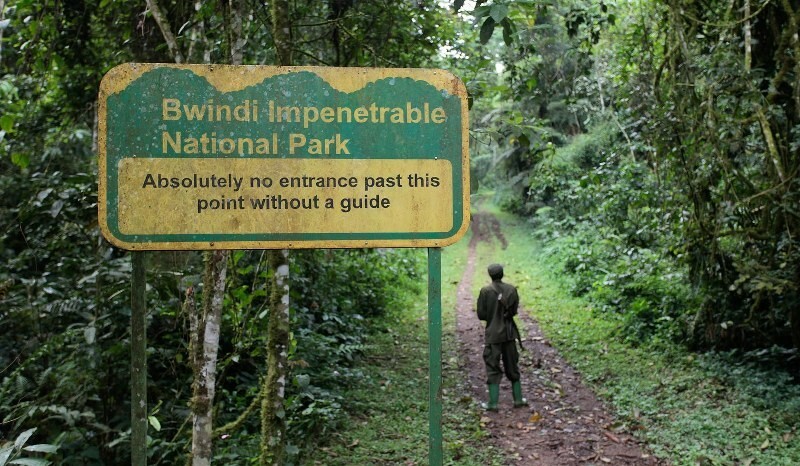 “Prodigious impacts to Uganda Tourism are suspected after this London move”, Uganda Tourism Board source. As Uganda, we are welcome you to see these Mountain gorillas who are not city dwellers, but live in the luxury of thick forests in Uganda. We are confident you can visit Uganda for your intimate encounter with these gentle giants. 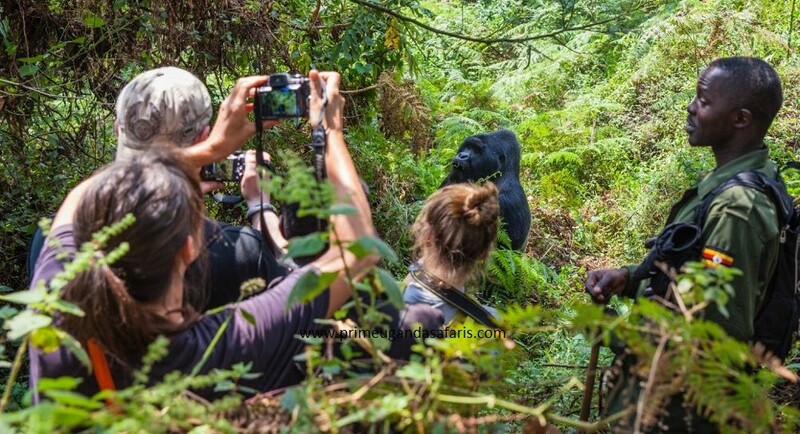 You can book a Gorilla trekking safari with us today. Looking for the right company? find one here. 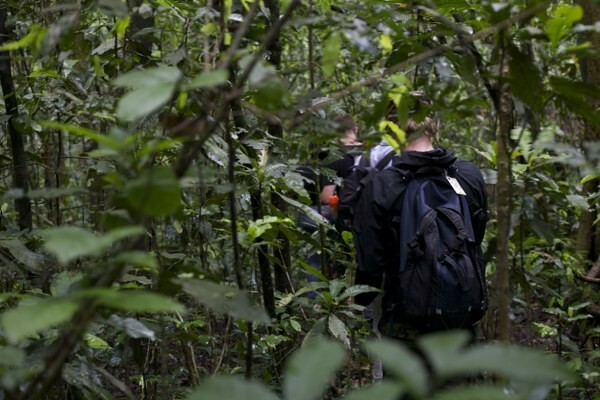 Click here to read more about Gorilla trekking in Uganda.